I’m not one to jump into new diet fads, but I do try to stay healthy and look for ways to sneak better nutrients into my life without spending too much time and money or forcing myself to eat yucky foods. The best new addition to my diet has been green smoothies. A couple month ago I was walking through the neighborhood with my wife when she said she wanted to stop at a local smoothie shop. She decided on some sort of kale smoothie. Even though it sounded gross, when she offered me a sip I tried it, and I was shocked by how good it tasted. I wanted to have some more, but at the same time didn’t want to spend $6 or $7 for another cup. I wondered to myself if I should just make it at home. There wasn’t some sort of secret recipe or gourmet cooking techniques needed. They were just throwing ingredients into a blender. And all those ingredients could easily be picked up at the local market for much less than the smoothie shop would charge for it. So I started making the smoothies at home and got addicted to the taste and great feeling I got from drinking them. I have one on my way to work almost every morning now, and frequently on weekends too. I love knowing that my body is already getting a big portion of its veggie needs first thing in the morning, and in such a tasty form. Below is a run-down of the basic benefits and how to make them. 1) Natural energy boost – give you a good start to your day. I haven't been able to kick my caffeine habit yet, but I find that I don't feel the need for coffee as soon as I sit down in the office, if I already had my smoothie during my drive to work. 2) Weight loss – when you include protein and healthy fat ingredients to your smoothie, the drink can replace less healthy snacks or meals throughout your day. Instead of having a more carbohydrate-heavy breakfast to get me through the morning, I have my smoothie first thing and then a healthy snack of fruit or yogurt a couple hours later to hold me over until lunch. 4) Customizable - the drink can be changed every day for variety, or focused in certain areas based on your nutritional needs and desires. If you are looking to gain muscle you can add more protein rich ingredients. If there are certain vitamins and minerals you feel you are lacking, load up on nutrient-rich ingredients in those areas. The flavors possibilities are as endless as your imagination and/or Googling abilities. 5) Quick and easy to make – it should take less than ten minutes to put everything together and clean up, and very often take under five. You can save even more time by prepping ingredients ahead of time. Many blenders are designed for on-the-go smoothie making. 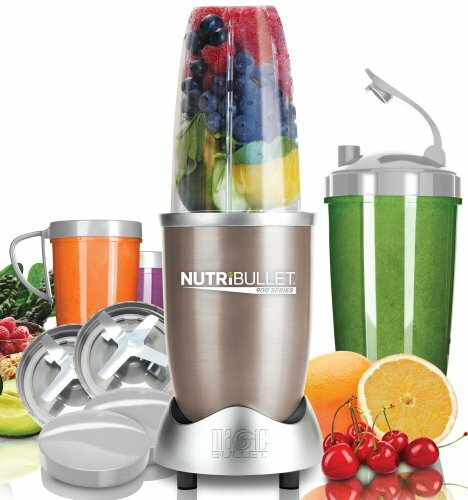 I just picked up a Nutribullet Pro, which blends the smoothie directly into a drinkable cup and comes with to-go lids, making it ideal to take on the way to school or work. This drastically cuts down on clean-up time. Strong blender for much more than smoothies, but the option to mix directly into a travel cup makes this the ideal blender for me. 2) I was surprised to find that the vegetables can be frozen too. I usually buy the giant bags of lettuce from Costco, which are a great value. I keep some in the fridge for other use during the week, and then freeze the rest of the bag to use for smoothies. Don't mix these with your fruit in the freezer though. 3) I often make two 16 oz servings together the night before, and store them in mason jars in the fridge. Not quite as perfect as having it fresh, but still tasty and nutritious, and make it easy to grab on the way to work in the morning. I've really enjoyed drinking green smoothies the past several weeks. It has become a staple of my diet, and I would recommend it to anyone, no matter what your nutrition goals are. 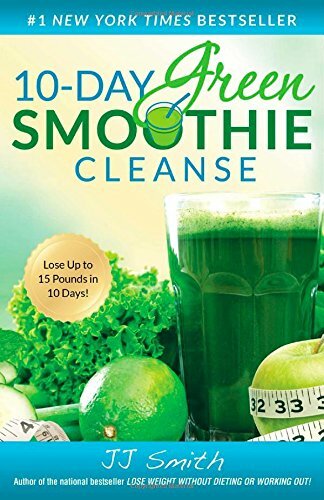 Whether you are looking to lose weight, want to eat more fruits and vegetables, or just looking for an alternative yummy snack, green smoothies can be the answer for you. If you've been drinking green smoothies already, please share your favorite recipes in the comments section.